4814 sq. ft., plus 1195 in the finished lower level with daylight windows, 4 bedrooms and 5.1 baths. Gorgeous hickory hardwood flooring throughout the formal living and dining rooms, great room, kitchen, and sunroom. Impressive floor to ceiling, stone, wood burning fireplace in the great room. Desirable first floor master suite has an elegant tray ceiling, dual closets, and a private bath with marble floor and spa tub. To request a private showing or more information for 4005 Calgary Court, contact the Ann Arbor Real Estate specialists with The Bouma Group today at 734-761-3060 or email info@bouma.com. View photos, amenities, and more for Pines of Lake Forest here! 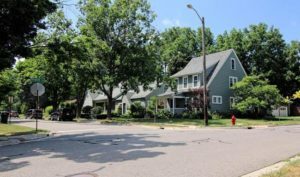 Eberwhite is a collection of Ann Arbor neighborhoods; the homes come in a variety of styles and layouts with both traditional and renovated residences. There are currently 20 homes listed for sale and so far this year, 28 have sold. $1,195,000. 6 Ridgemor Dr., Ann Arbor. 3865 sq. ft., + 1280 in finished lower level, 6 bedrooms and 3.2 baths. $579,900. 429 Crest Ave., Ann Arbor. 1642 square feet with 3 bedrooms and 2.0 baths. $575,000. 1402 Charlton St., Ann Arbor. 1754 square feet with 3 bedrooms and 1.1 baths. $499,900. 1706 Pauline Blvd., Ann Arbor. 2496 square feet with 5 bedrooms and 2.1 baths. $479,900. 1214 South 7th St., Ann Arbor. 2042 sq. ft., + 1600 in finished lower level, 4 bedrooms and 2.1 baths. Hawthorne Ridge is a splendid Ann Arbor subdivision in an easy access location with many conveniences nearby too. There are currently 2 homes listed for sale and so far this year, 5 have been sold. $530,000. 3238 Honeysuckle Dr., Ann Arbor. 2677 sq. ft., + 1100 in finished lower level, 5 bedrooms and 3.1 baths. $442,500. 3464 Honeysuckle Ct., Ann Arbor. 2594 sq. ft., + 1000 in finished lower level, 5 bedrooms and 3.1 baths. $410,000. 3397 Honeysuckle Ct., Ann Arbor. 2426 sq. ft., + 1000 in finished lower level, 4 bedrooms and 3.1 baths. $408,888. 3036 Gallinger Dr., Ann Arbor. 2575 square feet with 4 bedrooms and 2.1 baths. $399,900. 2993 Appleridge Dr., Ann Arbor. 1647 sq. ft., + 1100 in finished lower level, 4 bedrooms and 3.0 baths. Last year at Hawthorne Ridge, 6 homes sold with an average sale price of $423,167 and an average price per square foot of $165.00. The 5 homes sold this year have an ASP of $438,250, up 3.6%, and an A$/SF of $188.00, up 14%. To learn more about home values at Hawthorne Ridge, contact the real estate specialists with The Bouma Group at (734)761-3060 or email info@bouma.com. View more Ann Arbor neighborhoods here! 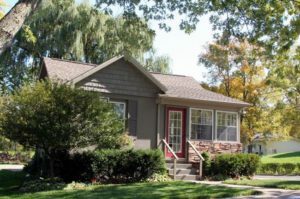 Bridgefield Estates is a cozy Ann Arbor neighborhood because of the limited number of homes. 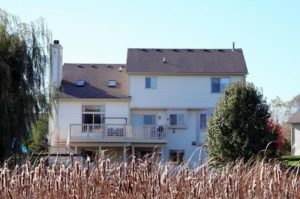 The subdivision is surrounded by nature with many homes backing to wetlands or woods. Further, the homes include many desirable features and authentic layouts that were customized with the local building company. There are currently no homes listed for sale and so far this year, 2 have sold. $321,000. 3151 Bridgefield Dr., Ann Arbor. 1638 sq. ft., + 700 in finished lower level. 3 bedrooms and 3.1 baths. $308,000. 5232 Falling Leaf Dr., Ann Arbor. 1709 sq. ft., + 750 in finished lower level, 3 bedrooms and 3.1 baths. Last year at Bridgefield Estates, 2 homes sold with an average sale price of $324,250 and an average price per square foot of $133.00. The 2 homes sold this year have an ASP of $314,500, down 3%, and an A$/SF of $188.00, up a significant 41%. In comparison, the homes sold in 2017 had 750+ more square feet than the homes sold this year. To learn more about home values at Bridgefield Estates, contact the real estate specialists with The Bouma Group at (734)761-3060 or email info@bouma.com. View more Ann Arbor neighborhoods here! 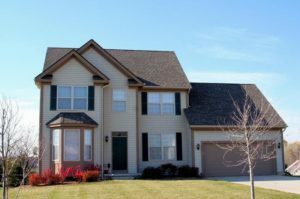 Arbor Woods is a great Ann Arbor subdivision with a variety of options for floor plans. Along with its convenient location, the neighborhood offers a beautiful setting of 40+ acres of natural areas. There is currently 1 home listed for sale and so far this year, 1 has sold. $352,000. 4681 Blossom Hill Tr., Ann Arbor. 2320 sq. ft., + 100 in finished lower level, 4 bedrooms and 3.1 baths. Last year at Arbor Woods, only 1 home sold with a sale price of $283,000, and a price per square foot of $149.00. 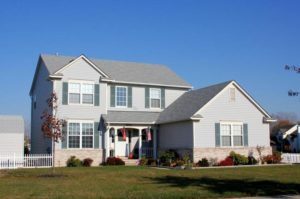 The 1 home sold this year has a sale price of $352,000, up 24% and an A$/SF of $151.72, up slightly. 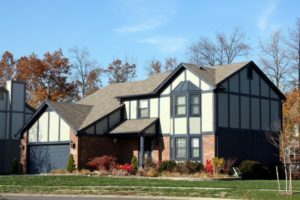 To compare, the home sold in 2017 had 425 square feet less than the home sold this year. To learn more about home values at Arbor Woods, contact the real estate specialists with The Bouma Group at (734)761-3060 or email info@bouma.com. View more Ann Arbor neighborhoods here! 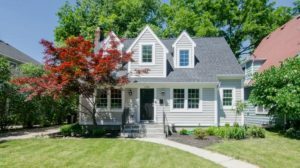 Fleming Creek is a charming Ann Arbor neighborhood with nice 2 story homes. Eateries, nature areas, the downtown and much more are all nearby; the subdivision is also easily accessible. There is currently 1 homes listed for sale and so far this year, 4 have sold. $550,000. 4852 N. Ridgeside Cir., Ann Arbor. 2497 sq. ft., + 700 in finished lower level, 4 bedrooms and 3.1 baths. $530,000. 4988 S. Ridgeside Cir., Ann Arbor. 2580 sq. ft., + 800 in finished lower level, 4 bedrooms and 2.1 baths. $516,000. 2858 Chaseway, Ann Arbor. 2858 sq. ft., + 1021 in finished lower level, 4 bedrooms and 3.1 baths. $475,000. 4758 Parkside Ct., Ann Arbor. 2126 sq. ft., + 877 in finished lower level, 5 bedrooms and 2.1 baths. Last year at Fleming Creek, 5 homes sold with an average sale price of $444,900 and an average price per square foot of $179.00. The 4 homes sold this year have an ASP of $517,750, up a notable 16.4%, and an A$/SF of $207.00, up 15.6%. To learn more about home values at Fleming Creek, contact the real estate experts with The Bouma Group at (745)761-3060 or email info@bouma.com. View more Ann Arbor neighborhoods here! 1290 sq. ft., + 616 in finished lower level, 4 bedrooms and 3.1 baths. Hardwood floors, crown molding, neutral paint colors throughout. Kitchen features a center island, high-end stainless appliances, trendy white cabinets, and an adjoining dining area. Bathrooms are all completely new. Large, fenced back yard is great for kids and pets. To learn more about 1506 Golden or to request a private showing, contact the Ann Arbor Real Estate specialists with The Bouma Group today at 734-761-3060 or info@bouma.com. View photos and details for the Burns Park Neighborhood here!